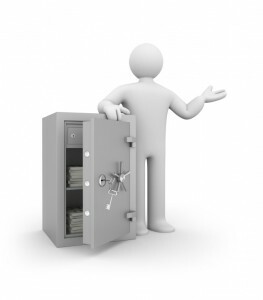 The Vault is a complimentary service for our clients. 90% of our new clients have not thought about the importance of including their digital assets in their estate planning. Think about it. You have accounts you access online and you have passwords that prevent anyone in your family, or even your executor, from accessing. Our estate and trust portfolios include sections for keeping track of this important information. In addition, if we have prepared any estate planning documents for you, such as wills, trusts and powers of attorney, we will upload digital copies of those documents for you into your own password-protected directory. You will then have these documents available to you on your computer or anywhere on your mobile device. Think how handy that will be. For example, suppose you are in a bank and need to show a bank officer your power of attorney. You will be able to display or even print your power on the spot.